Dental implants have three components: The implant itself, the abutment, and the crown. 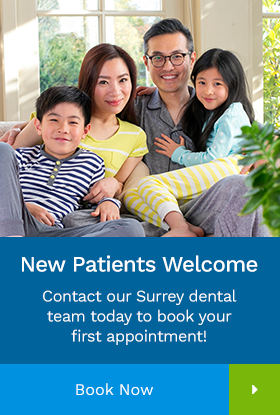 Today, our Surrey dentists provide a brief overview of each part. The part that is actually implanted into the jaw is called the implant. This tiny screw made of titanium acts as an artificial tooth root. Titanium is compatible with body tissues, meaning that it can bond with your jaw bone to form a new, completely stable tooth root. 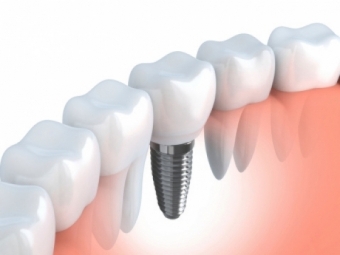 The abutment anchors the implant to the crown, and is usually made of ceramic or titanium. After the implant surgery, and when the dental implant and the abutment are firmly in place, the final step is to add a dental crown. The crown is an artificial tooth replacement that looks and functions just like like a natural tooth. In cases where an implant is being placed to secure a dental bridge or denture, the crown portion may not be added. If you have questions about the dental implant procedure or components, please contact our Surrey dentists today!